When the Blair Witch Project hit the big screens, many independent filmmaker had aspirations of creating the next big found footage horror movie. That was especially true for 25 year old Blaine Norris from Cumberland County, Pennsylvania. Blaine developed a script for a horror movie to be shot in the woods of the Appalachian mountains. Only problem was Blaine Norris knew nothing about making a movie, nor did he have a camera man or equipment. Luckily for him, Blaine’s friend Brian Trimble signed on as Director of Photography with his camera in tow. But this partnership would soon falter. Brian’s wife Randi Trimble, a 28 year old speech pathologist, wasn’t too keen on Brian camping in the woods for a week filming a horror movie. Brian suffered from MS and both his wife and his doctor thought spending a week sleeping on the ground could be detrimental to Brian Trimble’s health. That decision may have cost Randi Trimble her life. Randi was murdered in January, 2003. Initially the police suspected her husband Brian Trimble, however Brian had a verified alibi. Detectives had a tough job ahead of them, sorting between fact and fiction, movie scripts and reality, to uncover who killed Randi Trimble and why. After Randi’s death her mother, Nancy Chavez, worked tirelessly to raise awareness about domestic violence, creating multiple charities in Randi’s name to support local domestic violence centers in Cumberland County, PA. This episode is as much Nancy’s story as it is Randi’s. Dr. Emlen Physick never actually practiced medicine. Instead, he left the bustling streets of Philadelphia for the life of a country gentleman in Cape May. There he farmed on 11 acres, raised dogs and lived with his mother Frances and his maiden aunts Isabelle and Emilie. The estate passed out of the Physick family in 1935, with the passing of it’s last Physick family resident Emilie Parmentier. But some people believe Emilie never left and claim her ghost, among other spirits, lingers in the estate today. Join me on this trip down the shore to Cape May, NJ, as we visit the Emlen Physick Estate and do a little ghost hunting! Susan Reinert was an English teacher at Upper Merion High School, a district in suburban Philadelphia about 20 miles outside the city. When she wasn’t teaching classrooms filled with students who adored her, she was with her two adoring children, Karen and Michael. Susan was amicably divorced from her ex husband Ken Reinert. She seemed to have most of what she wanted in life – a successful career, two beautiful children, a loving and supporting circle of friends. The one thing missing in Susan’s life was romance. In 1978 Susan began dating a fellow teacher, William Bradfield. Bradfield was eloquent, well educated, charming and a Lothario. Susan Reinert wasn’t his only partner. While she knew about a relationship Bradfield had with another teacher, he assured Susan he wanted to end his other relationship and start a future with Reinert. In June, 1979, Susan planed a short trip with her children to Allentown, PA. She had a speaking engagement with an organization called Parents Without Partners on Saturday morning, June 23. She and the kids packed her car and left Ardmore on Friday night. By Monday morning Susan Reinert was found murdered, dumped in the hatchback of her car, which was abandoned in a hotel parking lot in Harrisburg. Karen and Michael Reinert were missing. How could such a wonderful woman who lived a simple life wind up murdered, and in such a cruel, brutal manner? Who would do such a thing to a beloved teacher, mother and friend? It was’t just one person responsible for Susan’s death; there were two culprits – fellow teacher William Bradfield and Upper Merion High School principal Jay C Smith, who was under suspicion for the disappearance of his daughter and son in law. Smith was also arrested for armed robbery. What unfolded in the months and years after Susan Reinert’s death played out like a Hollywood movie, and eventually that’s what it became. Joseph Wambaugh, former police officer turned crime writer, immortalized Susan’s murder in his best selling novel Echoes in the Darkness. In 1987 the made for TV movie based on his book aired on CBS, starring Stockard Channing and Peter Coyote as Susan Reinert and William Bradfield. Join me and special guest co host Margo D from Book vs. Movie Podcast, the Best Neighbors Podcast, Not Fade Away Podcast and the Fit Bottomed Girls Podcast and Blog as we unravel this tangled and bizarre tale of betrayal. The Philadelphia Insectarium and Butterfly Pavilion is a science museum providing educational programming about insects. Recently the museum was robbed. Over 7,000 insects, bugs, spiders and other critters were stolen from the museum. As a result of this theft, the museum lost over 80% of their insects and they need help to rebuild. It will cost close to $50,000 to replenish the arthropod inhabitants. The museum established a Go Fund Me account in the hopes public donations will save the museum. Please tune into this brief call for help. If you can make a donation any amount would be appreciated. If you’re not in a position to donate, you can still help by sharing their website and their Go Fund Me account on social media. It’s back to school for many students across the country and in this episode we’re going to Kutztown, PA, where we’ll visit Old Main, one of the oldest and most recognizable buildings on Kutztown University campus. We’ll talk about the history of the university, including the haunted history of Old Main, where the ghost of a young woman named Mary Snyder wanders the 5th floor of this historic building. Students report sightings of Mary for over 120 years. How did she die, and why does she linger on the university? We’ll also take a trip to Crystal Cave, subterranean wonderland that’s always a cool 54 degrees. Formations in the cave date from anywhere between 80,000 years old to over three times that age. Filled with crystals that adorn the walls and the rock formations, legends of Cyrstal Cave date back over 150 years featuring reports of ghosts inside and outside the cave grounds. Head back to school with me to Kutztown, Pennsylvania! The summer is winding down, although the 90+ degree temperatures we are expected to hit during the last week of August would have you believe otherwise. For those of us not heading down the shore, there are some terrific events in Philadelphia to celebrate the end of summer and Labor Day weekend including the Made in America Festival, outdoor movies, pop up roller rinks and amusement parks and so much more. I love the idea of sneaking away unexpectedly for a few days, dropping off the grid, turning off the phone, and shutting out the world. Provided you don’t fake your own kidnapping to do it. That’s what happened on Tuesday, May 26, 2009, when Bucks County Pennsylvania resident Bonnie Sweeten called 911 from the trunk of a car. She said she’d been carjacked by two African American men. These men threw Bonnie and her 9 year old daughter Julia into the trunk of their car and took off. That phone call initiated a multi county search for Bonnie and Julia. Police found Bonnie Sweeten’s car 12 hours later in center city Philadelphia, with a parking ticket on the windshield, and no sign of Bonnie or Julia. Nor was there any sign of these supposed car jackers. The car jackers didn’t exist, and Bonnie and Julia were at the happiest place on earth. What would posses someone to fake their own kidnapping, and that of their child? Why did Bonnie Sweeten fabricate such an elaborate ruse that had her family convinced, at least for 24 hours, they may never see her or her daughter again? Her reasons for deception started four years before her trip to Disneyworld, and the breadth of her deceit was much farther reaching than anyone realized. There is nothing I love more than being a tourist in my own city. You hear me talk about that in so many episodes. I wander City Hall every chance I get. I stop at every blue and yellow historical marker, I know the obvious history and tourist attractions, but even more I love the not so obvious moments in history, and the not so obvious history makers. One of my favorite ways to tour any city is taking a walking tour. 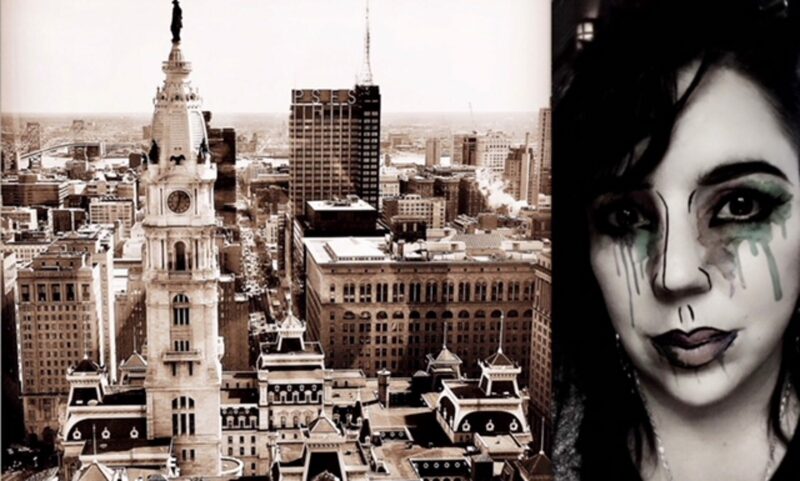 A new walking tour company recently launched in Philadelphia: Beyond the Bell. Beyond the bell was founded by Rebecca Fischer and Joey Leroux, friends who met at Haverford college who wanted to share other perspectives from Philadelphia’s history, perspectives that amplify voices you may not have heard before. Beyond the bell tours offer an inclusive history of Philadelphia. Their mission is to create tours that influence public history and highlight marginalized communities including people of color, queer folks, first nation folks and women. A quote from their website says Beyond the Bell is built to promote cross cultural engagement and put the people back into the people’s history. Recently I was lucky enough to chat with Rebecca Fisher. I was completely enthralled listening to her talk about how and why she and Joey created Beyond the Bell tours, and the stories they tell to provide different perspectives about the history in Philadelphia. In this episode I share my conversation with Rebecca, she gives us a glimpse into some of the incredible women featured in the Women’s History Tour, we talk about going to a Philly Quizzo night together and we’ll get a sneak peak into some of the other tours Joey and Rebecca have in the works, which really aren’t all that twisted, but sound totally awesome. 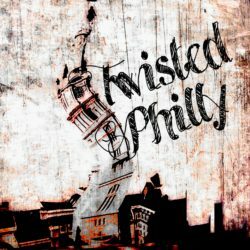 Please join me in welcoming Rebecca to TwistedPhilly! You can learn more about Beyond the Bell Tours on their website www.beyondthebelltours.com. Follow them on twitter at bell_beyond and on Facebook at Beyond the Bell Tours.